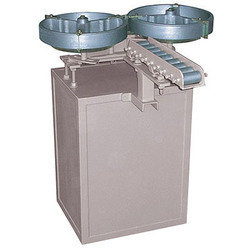 Leading Manufacturer and Exporter of Soap Cutting Machines such as Soap Cutting Machine, Auto Pneumatic Soap Cutting Machine and Detergent Soap Cutting Machine from Mumbai. By keeping our track with the latest market trends and developments, we have brought forth a world class collection of Soap Cutting Machine. In tune with the latest market trends and developments, these offered machines are hugely recommended. Additionally, these are dispatched by us in tamper proof and bubble wrap packing solutions in order to maintain their safety at the destination of our customers. Justifying our position and standing in the national market, we have come up with a broad collection of Auto Pneumatic Soap Cutting Machine. The inputs used in their development are procured from reliable suppliers of the industry after strict quality examinations. Also, their dimensional accuracy, reliability and operational fluency make these a preferred choice of our customers. 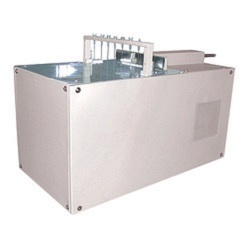 By keeping our track with the latest market trends and developments, we have brought forth a world-class collection of Toilet Soap Cutting Machine. In tune with the latest market trends and developments, these offered machines are hugely recommended. Additionally, these are dispatched by us in tamper proof and bubble wrap packing solutions in order to maintain their safety at the destination of our customers. 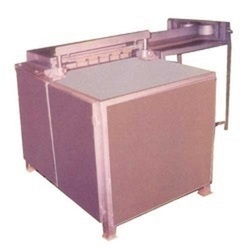 Owing to our vast manufacturing facilities, we are able to offer Soap Round Bar cutting machine. These are fabricated at our state-of-the-art infrastructure by our experts using premium quality raw material. 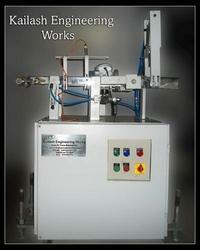 Looking for “Soap Cutting Machines”?